Blog of Gabe Suarez, I and the Suarez International company are dedicated to the thoughtful and real-world art of fighting, perfecting the techniques necessary to win in a gunfight. I personally have participated in no less than a half dozen gunfights in reduced light. For 15 years, with few exceptions, I worked between 1700 HRS and 0500 HRS. And I hunted bad guys in buildings and in the street. When I discuss this low light problem, I speak from personal experience. But we are not here to discuss me. The article on using weapon lights was been read quite a few times and it seems to polarize the reader. They either agree with my position, or they question my sanity. 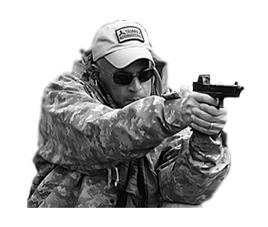 The gun world, like most of American society lives in a world of extremes. Everything is either black, or it is white. An all or nothing perspective that is never like life. Extremes only occur at the 1% on either end of the spectrum. Everything in the middle is fluid, and taking the position that life must be "always or never", is an extremely limiting position. It is however a position parroted by many intellectually slothful trainers who cannot grasp (or perhaps their students cannot grasp), that reality is more like "sometimes, maybe, and it depends". The discussion today is "Target Identification". It is one of the sales points of high end flashlights, weapon lights and low light shooting courses. In their world, target identification is nothing less than the image shown above. Then and only then, are they clear to engage and shoot. But target identification need not be so "black and white", nor based on solely visual clues. Operating at either extreme is fraught with peril for you. Ignore target identification (not what I said although it is what some seem to have read) and you will eventually kill the wrong person. But seek so much target identification that you expose yourself to the adversary, and he will take advantage of the mistake and kill you. Lets examine what constitutes target identification in its entirety. 1). Based On Visual Recognition. There is sufficient light, artificial, ambient, or natural, to see that the man there is an adversary fully intent on killing you if you give him a chance. This is the perfect world where the flashlight companies and the instructors they fund want to live. It is illustrated by the leading image. It is on one extreme of the spectrum. Nice if you find yourself but like I said...1%. In most events, you will know what you have long before you get to this point. And the closer you seek to get to this point - seeking full identification even when you already know what you have - the more advantage you give to the bad guy. 2). Based On Actions. One of my night time gunfights was what today would be called an Active Shooter. They didn't use such words in 1991 but there was a man with a Beretta on the beach shooting at people. Oh, it was at 3:00 AM with a half moon. I saw him in the distance due to his muzzle flashes and the outlines of his would-be victims scampering to get away from his gunfire. Long before the era of any weapon mounted lights, I visually fixed him and his location and moved up on him quietly in the darkness. I didn't lose sight him, and recall him loading a new magazine into his pistol as I closed and eliminated the shooter. All without the need to turn on a light...even if one had been invented for my Remington 870 at the time. There was another were the identity of the adversary was irrelevant at the point of contact. He was the guy in the shadows from whom all the muzzle flashes were coming. We shot him, and there were no more muzzle flashes. Sufficient identification with no need for lights. In fact, light would have given him an advantage and we would have lost the initiative. 3). Based On Process Of Elimination. In the military context one could say, "those not dressed like you". Similar in application for home defense. The man and wife who live alone...only two of them in the home, seeing a large shadow looming in the doorway. The shadow is a "THEM" not an "US". Certainly they could seek more information, shine a light on the matter as it were, but to what end? The US is far more important than the THEM. The mom with the three kids hiding in the bed room knows the large shadow in the doorway is not an "US". To cause her to second guess herself at this moment is irresponsible. I know...I know...I hear the critics telling me it could be a drunken neighbor, or a friend playing a prank. Funny how I do not recall, nor do my associates, ever having a drunken neighbor suddenly appear in our homes...nor would we play a prank of that nature on one another. Some people are stupid, but not everyone is stupid. Seeking to create an egalitarian tactical environment due to the existence of stupid people robs the capable from performing at their highest skill levels. I have always locked my doors to keep the errant drunken neighbor away. 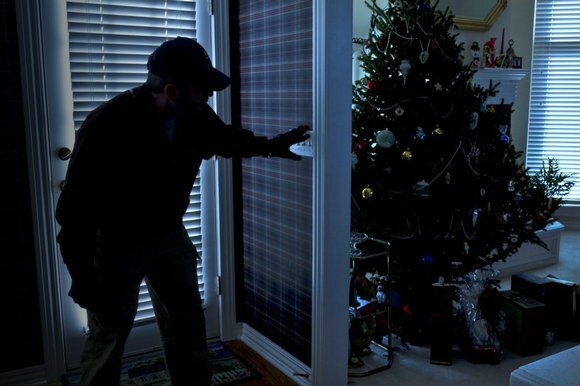 If your neighborhood is rife with drunken neighbors prowling in the wee hours, I suggest you do likewise and lock your doors rather than plan on illuminating him in the hallway. And I raised my kids the same way. It is not rocket science here kids. And friends playing pranks? I simply don't get that one. If I ever came home early from night watch, I always called and advised. I was given the same courtesy from family members. And my friends did the same for me and I for them. Serious people act seriously and not stupidly. If you have stupidity in your life, fix the stupidity first before planning to illuminate it in the hallway. All of this seems to fit more into the Mission Planning Phase of living but the "light mongers" seem to want technical solutions to these and it is a mistake. Something else I see still these days, even in the era of jihadist and urban terrorism, among the other usual threats, is a desire by some trainers to want to minimize the adversary. "You won't have a squad of ninjas coming at you", they say with a hearty belly laugh..."It will be some teenage beatnik". It is almost as if they are channeling Joe Biden's advice of home defense. 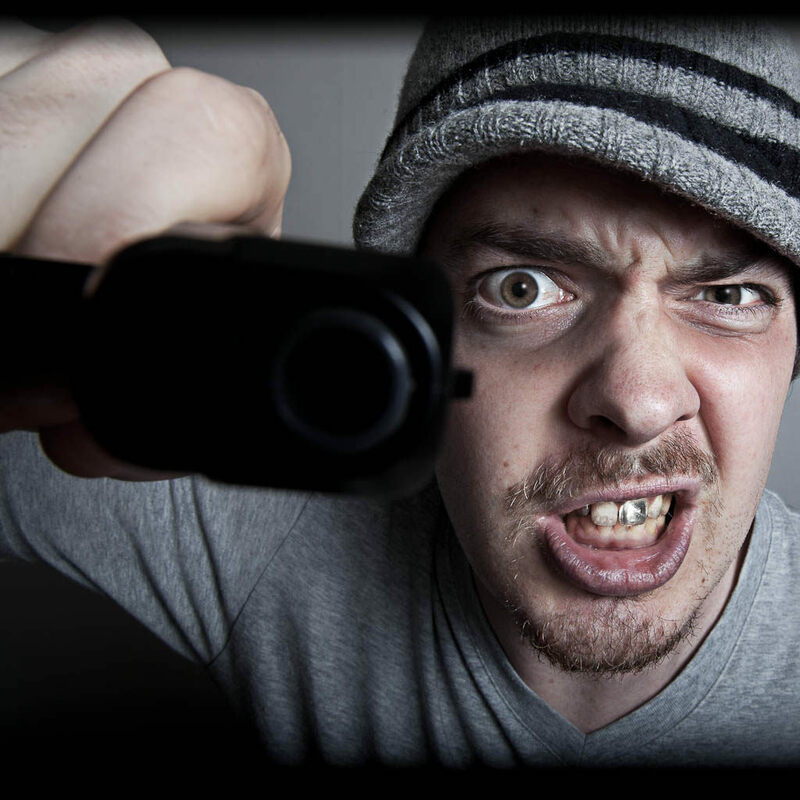 You know...for every teenage beatnik burglar, I can give examples of three armed home invaders who could at a glance be identified, even in a darkened home by their movements, actions and the process of elimination. Look again at the two shadows. Look hard. You are at work...at night...and your wife is at home with your two infant daughters. 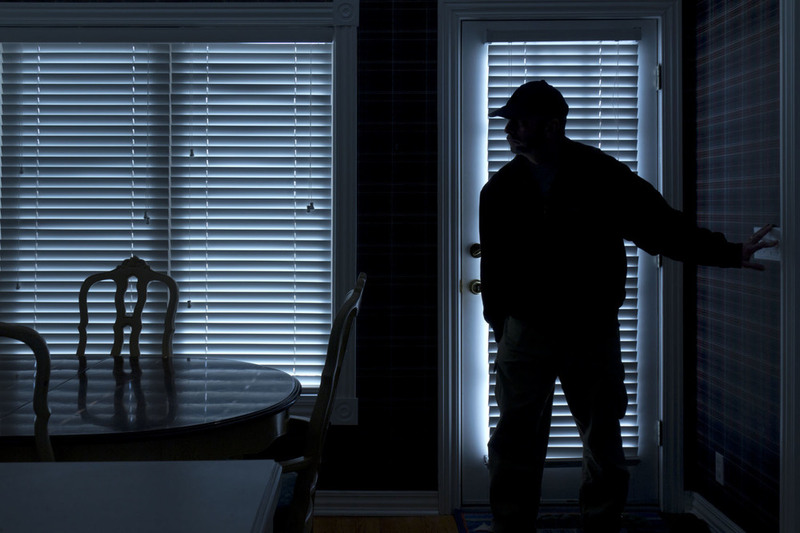 Do you really want her to challenge the shadow that has forced entry into your home? To illuminate him with a flashlight in case it is your drunk friend that decided to break into your home late at night while you were away? Really? I do not...I think her and the family are far more important than welfare of "the shadow" for her to second guess and try to rationalize avoiding the necessary steps. She is cleared to fire...and quite justified as well. Nothing is free kids. Your life and your family's life are far more important than the life of the bad guy shadow moving down the hallway towards you. Target identification is relative and not absolute. Once you have enough, waiting for more is a tactical blunder.